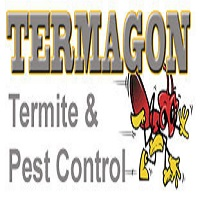 We love Termagon, they always take care of us and are very knowledgeable and respectful. Thank you guys!! Although I live in Laughlin Nevada, and have not yet seen the work, I have had great feed back on what is being done to the new home I am buying in Tucson. Mark did a very thorough job inside and out. Thank you. Great to work with, very prompt and professional. I have been using them for years! Never had a bad tech or experience. Office staff is amazing and always responds to my calls and questions. The technician arrived on time and was very personable. And the main thing, there is no sign of bugs 🐜😄. I am very pleased with the great customer service I received from both the inspector and applicater. Inspection was as scheduled and thorough. Treatment performed as promised, and in a timely manner. They came the day after I called for an appointment.😀. great service, great price, all is good. What a great company. The personal is just as great. Andy was great--efficient, courteous, affordable. Couldn't ask for more! he is very timely keeps his appointment times, plus sometimes he is early, answers your questions, and very busy like and friendly. thank you. very friendly and reliable contractors. He took his time and found critters our previous service didnt. Friendly guy showed up on time and seemed to know what he was doing. The bee's appear to be gone, if so we are happy with the results. Thanks. The folks at Termagon are great to work with. Professional and terrific customer service. They make sure all of our needs are met and look out for our clients as well. Friendly technicians. Not as easy to get an appointment as it used to be, must be a sign they’re doing great work and booked. Alan is a very nice Tech. Good so far. Only been with Termagon for 3 months. Alan is very good. I went online and sent an email. Immediately the next day was contacted and I was able to schedule something. Gus was great came out sprayed in and out and answered all questions. I used Termagon based on another client who spoke highly of them and recommended the company. I am very happy with the service provided and quick response time. Always professional, friendly and we haven't had any unwanted guests in our home or outdoors since they have been on the job. Have been using Termegon for several years. Always do a great job. On time and professional. Manny was great. Took care of some stuff I hadn’t even thought of. Thorough, courteous service. Arrived when scheduled and did a great job. Mark has been to our home and my elderly mother's home several times. He's is always pleasant and professional. This last visit he wished my mother a belated happy 100th birthday and talked with her a bit. His brief chat and friendly smile made her day.